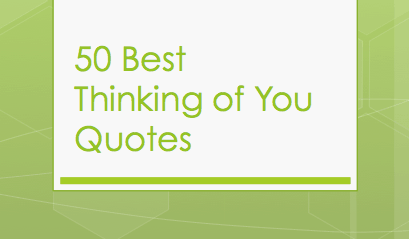 This collection of thinking of you quotes is for that someone special in your life. When you want to let someone know that they’re important to you in a special way, let them know that your thoughts have been centered on them. Here’s some help. Kindness in words creates confidence. Kindness in thinking creates profoundness – Kindness in giving creates love. My day starts with thoughts of you. Thinking of you, and counting the days until we’re together again. It scares me how much I think about you. I hope you’re thinking of me too. You’re the most caring person I know. I love that about you. Thinking of you makes my day. My world is lonely when I’m not with you — thinking of you every minute. I lie awake at night thinking of you. Right now, someone is thinking of you. Ok, it’s me. You’re with me in my thoughts even when you’re not here. When I want to smile I know exactly what to do; I close my eyes and think of you. I smile to the sky when I think of you. From the first day I saw you, you had me. I was yours. Yeah, I’m thinking of you right now and I can’t help it. Thinking of you is easy — I do it every day. Missing you is the heartache, that never goes away. I decorate my mind with thoughts of you. It must be a tough time for you with all that’s gone on. Please think of me like I’m thinking of you. You are close in my thoughts. Everytime I think of you, I hug you in my heart. I cannot tell a lie: I miss you more than ever. 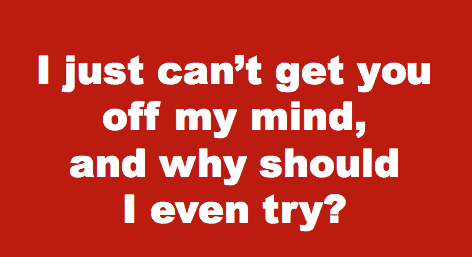 I just can’t get you off my mind, and why should I even try? 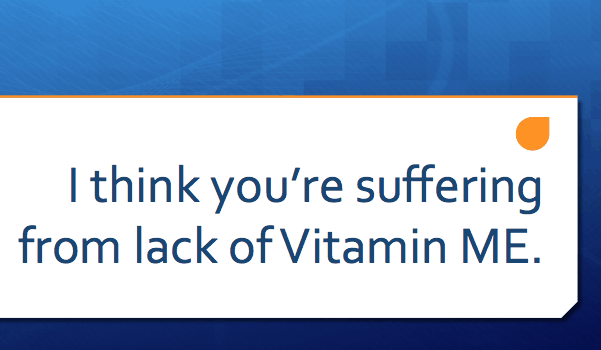 I think you’re suffering from lack of Vitamin Me. If you were a library book, I’d never return you. You’re the answer when people ask me what I’m thinking about. I’m trying not to think of you but it’s not working. My day is not complete unless I tell you I’m thinking of you. You are the first and last thing on my mind every single day. I could totally go for some of you right now. You = Awesome! Me = Lucky! You’re like an Indian summer in the middle of winter. I love that feeling I get when I see your face. True love is the greatest adventure – especially with you. Thinking of your kindness to me and smilin’! And just like that, all the love songs were about you.